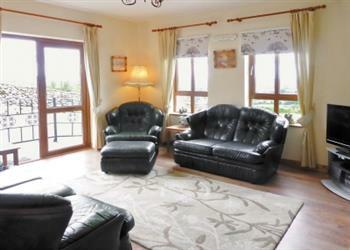 Blackstairs View in Ballymurphy, near Borris, County Carlow sleeps 13 people. 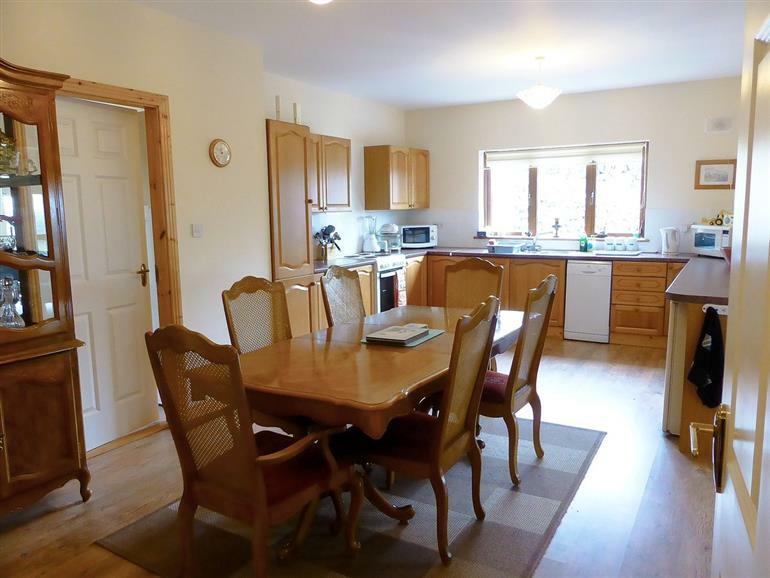 Blackstairs View in County Carlow is a detached cottage with absolutely stunning panoramic mountain views; Blackstairs View offers total peace and tranquillity with plenty of space inside and out. The small hillside village of Ballymurphy is nearby for a local pint, and a little further lies the picturesque tourist towns of Graiguenamanagh ’Village of the Monks’, 8 miles, and colourful Borris, 6 miles, home to one of the oldest golf courses in Ireland, as well as a 16-arch limestone viaduct built in 1860. The area is a walker’s paradise, with unlimited trekking in the Blackstairs Mountains, and nature lovers will enjoy the unspoilt surroundings, home to a variety of wildlife, including a family of red foxes, as well as resident sheep and the odd goat. A superb feature is the external sun room, great for those long summer evenings, which affords dramatic views of the natural surroundings. The shop and restaurant are 6 miles, with a pub 2½ miles from Blackstairs View in County Carlow. 2 steps to entrance (ramp access). All on ground floor: Living room with French doors. Dining room. Kitchen. Utility room. Games room. 5 double bedrooms, three with additional single (for children), two with en-suite shower room and toilet. Bathroom with shower over bath and toilet. Separate toilet. Most rooms with wooden floors. Electric fire in living room and games room included. Oil central heating, electricity, bed linen and towels included. Travel cot and high chair on request. Freeview TV. Electric cooker. Two microwaves. Washing machine. Tumble dryer. Fridge/freezer. Large lawned garden with furniture. Barbecue. Ample parking. Games room with pool table. External sun room. Tennis court. No smoking. Holidays at Blackstairs View run from Saturday to Saturday. For a better idea of where Blackstairs View is, you can see Blackstairs View on the map below. Do you want to holiday near Blackstairs View (W32170), you can see other cottages within 25 miles of Blackstairs View; have a look to find your perfect holiday location.